“I applaud CPS for making an investment in our neighborhoods,” said Ald. Lopez. “However, those investments should not cost the community its history.” Before the new high school was proposed, Ald. Lopez said, he had been working to reinvigorate the high school’s potential. He was in talks with CPS and the Montessori Englewood School about a possible K-12 colocation. Since the closure announcement, Ald. 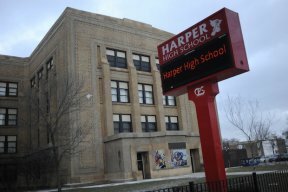 Lopez spent the summer working to raise community awareness, collecting over 700 signatures asking CPS to keep Harper High School open. Additionally, Ald. Lopez offered two different paths for keeping the school open. One proposal, created by the former director of the Chicago Training Center, Montana Bush, called for creating a two-tier vocational and international baccalaureate curriculum fused with non-traditional sports options, entrepreneurial partnerships and community-focused repurposing of the entire building. 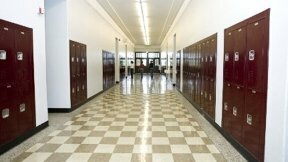 Another proposal would transform the high school into the city’s first veterinary academy, possibly building on partnerships with University of Illinois School of Veterinary Medicine, Chicago Animal Care and Control and local animal advocacy groups. Five aldermen represent the Greater Englewood area. In December, Ald. Lopez was the first alderman to oppose the closures. In June, Ald. Roderick Sawyer (6) voiced his support for keeping Harper open, citing safety concerns. Ald. Lopez said he believes a meeting with CEO Claypool, himself and the community is a must before CPS takes any further action related to Harper’s future.